I’m sure everybody likes strawberries. 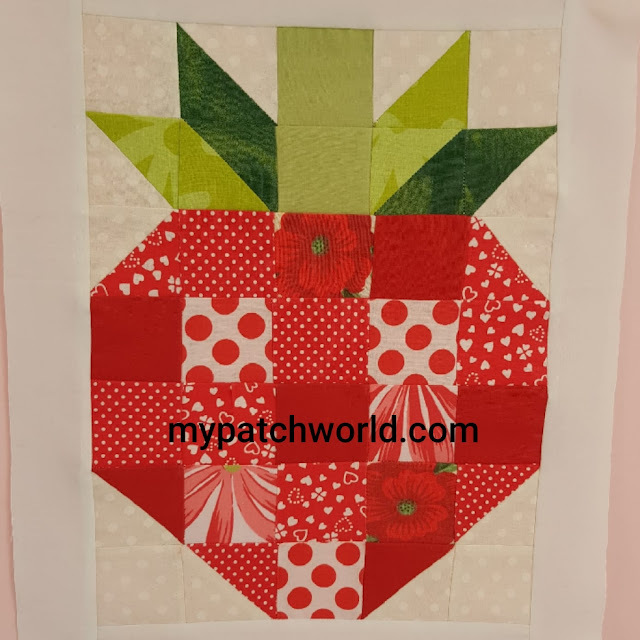 I saw these strawberry blocks on the net and have been waiting for the right time to make one of them. So here is the result. 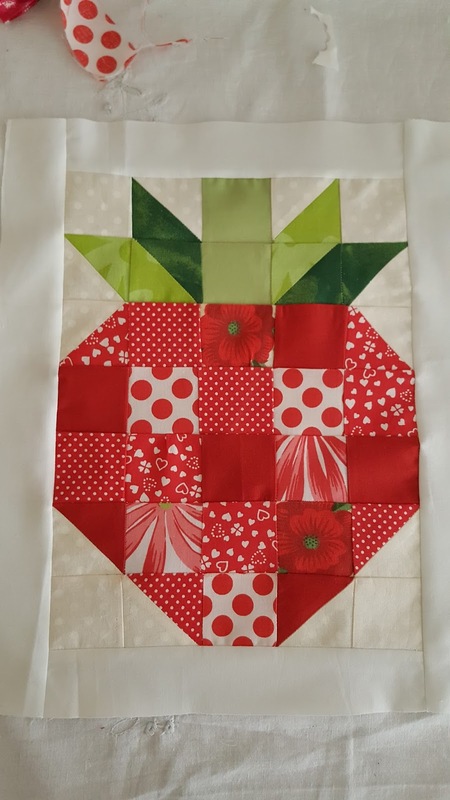 I think I managed it well and want to share how I made it with step-by-step tutorial in case you would like to make one for yourself. 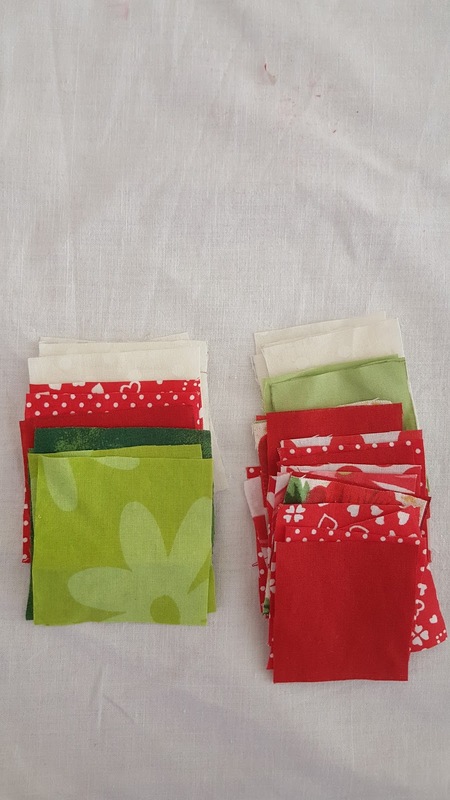 1 - Cut the pieces of fabrics according to the measurements and colors mentioned above. 2 - Take five white squares of 2.5” and 1 green square of 2.5”. 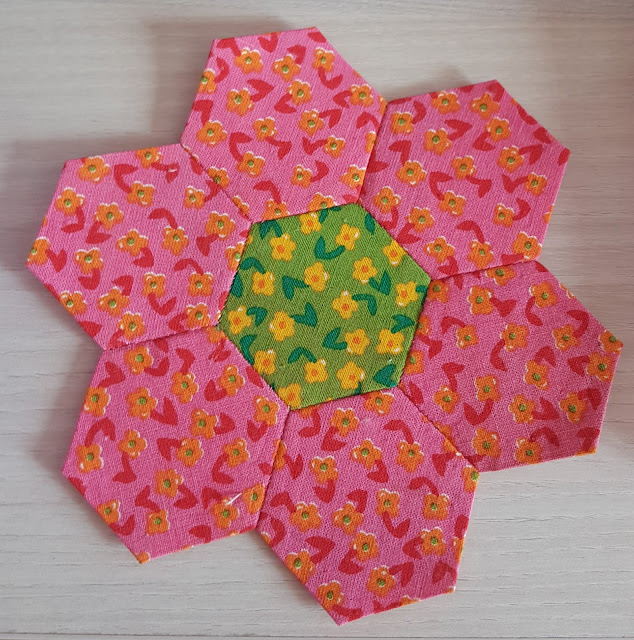 You need to turn these into half square triangles (hst). Draw a diagonal line as seen in the photo. 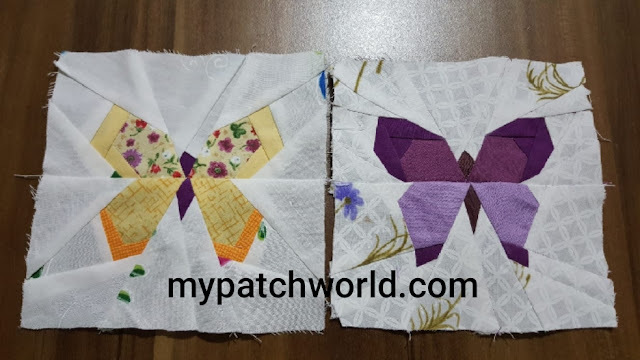 Pair these marked squares with the remaining 2.5” squares. 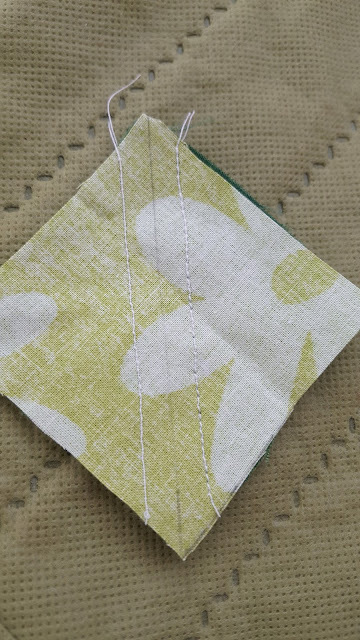 3 - Sew them together a quarter inch from your guide lines. 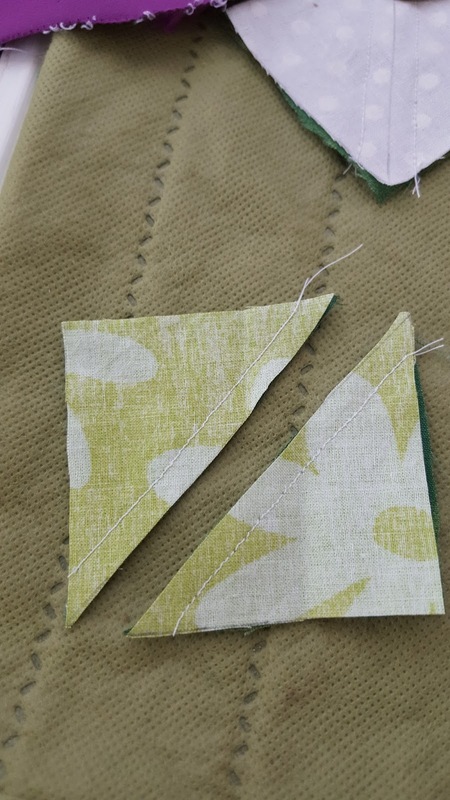 Sew both sides of the guide line. 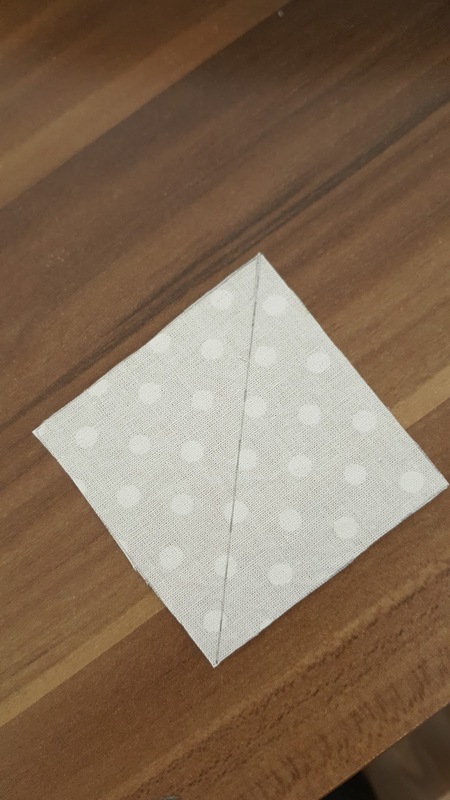 4 - Cut along the guideline so you have two triangles. 5 - Press with iron, press seams open. 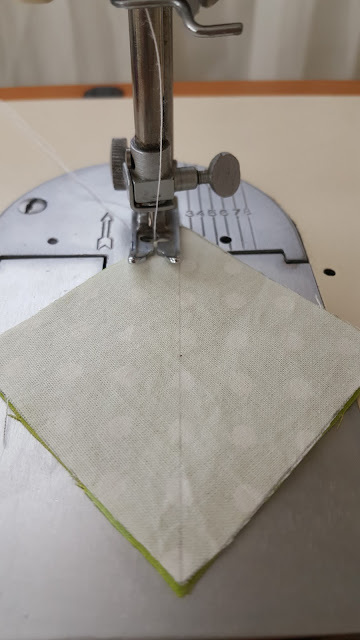 Note that you press in every step of sewing process. 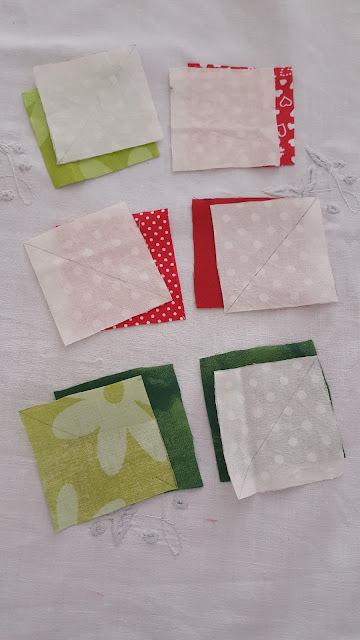 6 - Your hsts will be larger than 2” square, you should measure and trim them to 2”. 7 - Arrange all in squares and hst as in the picture. 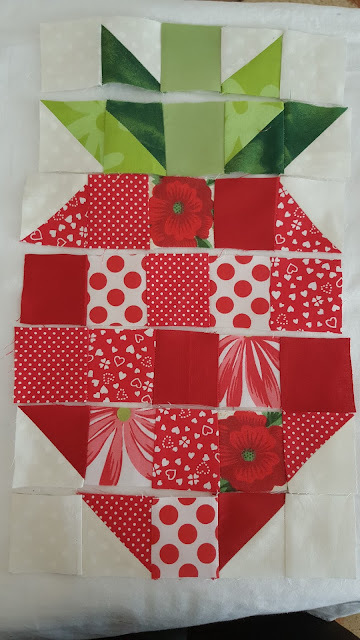 First sew squares in rows and don’t forget to press seams. Then sew the rows together to create the final block. Press it. 8 - And it’s finished! I’m happy with the result. I’m sure you’ll be with yours, too. 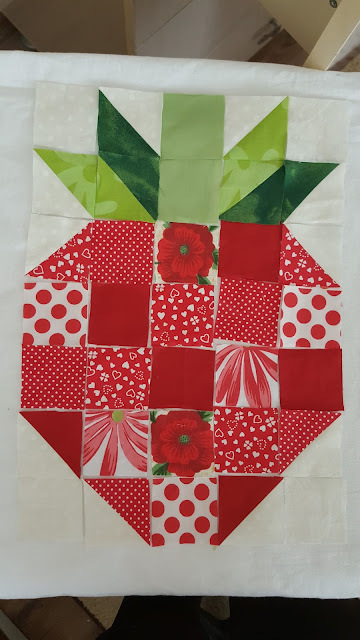 Don’t forget, sewing is fun! Any questions? Don't hesitate to ask, please.